Advent begins a new Church Year but it grows out of the Season of the Kingdom. Since All Saints Day we have been alerted to themes such as “Watching and waiting”, “being ready for Our Lord’s appearing”, ready for the coming of the King in his kingdom now. This is not a penitential season in the same sense as Lent. However, being in a state of readiness for our Lord’s appearing will necessarily lead us into a preparation that will involve penitence and self-examination, but we will not stay there. Nor will we simply see the Advent discipline as only a lead in to the Christmas festival. You will notice a restraint in the observance of this season: we neither have flowers in Church, nor do we say the “Gloria”. The vestments are violet, except for the Third Sunday in Advent which is Rose coloured. We will, however, have signposts on our journey to Christmas. These will be the weekly lighting of the Advent Candles, the blessing of the Jesse Tree and the blessing of the Christmas Tree. 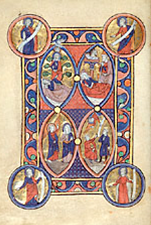 The two main characters of Advent are John the Baptist and Our Lady. They will, particularly, from the third Sunday of Advent, look forward to the Incarnation. ‘Tis the season to be frantic! The many demands on our time and added activities can intrude on our preparations at this holy time. Our full Advent Brochure is available here. 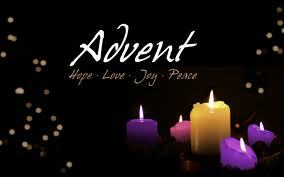 This page will help you prepare for the first week of Advent. Bless you in in your journey as you wait to greet the coming Christ at Christmas. sung by the Choir of All Saints South Hobart. This is always a very moving act of worship and a very fitting way to begin this season of expectation and preparation as we await the arrival (adventus) of Christ in his Incarnation but also look ahead to his final advent as Judge at the end of time. The readings and carols will not only direct us towards Christ’s birth, they will challenge us to confront the less popular theme of divine judgement. Read more about our services and view the weekly service schedule. Read more about prayer in our parish. See what special events are happening around the parish.